What a week! From being featured on the Dr Oz The Good Life website to the stress of dealing with kids being sick, home from school, and who can forget the pre-launch of 30 Days Fitness & Food which has taken nearly 2 years to get done - but...better late than never! It will have my 30 days of family-friendly recipes, to fast workouts that I fit in throughout my day (and you can do at home), motivation to live your life with health and happiness PLUS all this social media fitspo business that got me here today. Super excited! Pre-order your copy now and receive some special gifts from me while you wait for the official launch COMING SOON! Fitness has been on track even with the kids being sick - all it means is that I get up earlier in the morning and get my hour of walking, then we all go for a walk so the kids can get some fresh air and vitamin D too and any other steps I just catch up on, upstairs at our place. Easy peasy. Where there is a will, there is DEFINITELY a way. I am LOVING my Jawbone UP3 at the moment. It keeps me on track and prompts me when to move my body (and even when to go to bed!). What ways have you been moving your body throughout “Step”tember? You know that any other activities you do are also adding to your steps, so if you go for a surf, that counts for 5,118 steps and if you go for a class of Zumba you just clocked 6,825 steps!! WHOOSH! For more ideas on how to increase your daily steps, click here. Don't forget to join us over at YOU-app with Jamie Oliver as I host the MOVE micro action. Today it was all about the furniture around us and making a workout from it. Food has been relatively okay, however I have been over-indulging here and there. But you know what? You can if you know you are keeping a balanced life. Sure, I have the muffin top but next week I know it will steadily start to go because of the healthy choice meal I will make. It’s life. You need to be easy on yourself but also know not to sabotage all the hard work you have been doing. Like that saying “start nourishing your body, not punishing it”. Our kids are slowly on the road to recovery (whew!) 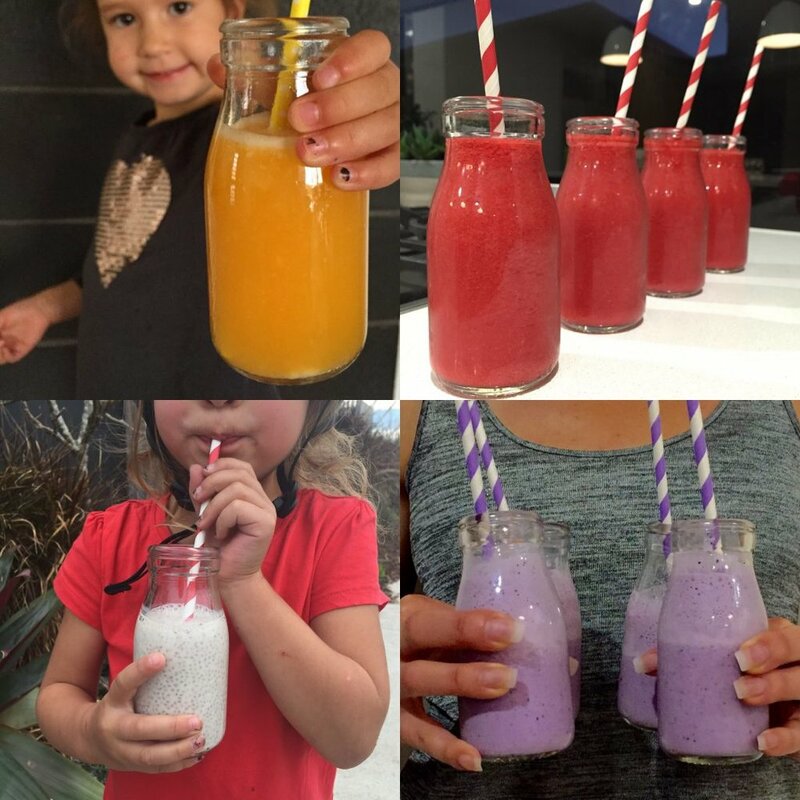 and we have been pumping natural fruit juices into them (it’s the only thing they want to eat and can handle down their sore and tender throats) - drinks that are nutritious and definitely delicious, with chia seeds, strawberry, lemon juice + banana, pineapple and orange plenty of B vitamins, antioxidants and vitamin C to get them back in better health. It’s been great cuddling my little koalas but I’m steering clear of all the full-frontal coughing and sneezing ‘cos I don’t want to get it! What's on for night and the weekend? We are off to the movies tonight and laying low this weekend to ensure this bug disappears completely. Place dry ingredients in a food processor and add 1tbs of tepid water and olive oil until the mixture binds together. If too wet, add more flour, if too dry add more water. So many variations to this pizza, from adding herbs and chia seeds to the base to delicious toppings that suit all the family! Check this pizza step by step recipe. This one is for the adults that like it hot! Everything has chilli here, from the olives to the salami to the chilli oil drizzled on the basil YUM! 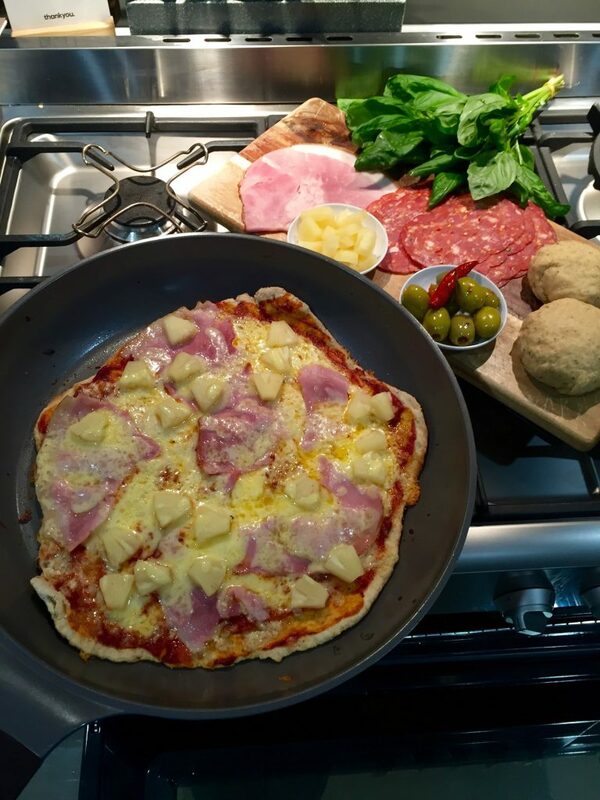 Pizzas' are the perfect way to share with the people you love - and great to make together too. Have a sensational weekend and keep in touch over at Facebook land Instagram. Also keep updated with my weekly newsletters and subscribe today for your Team Dani inside scoop!